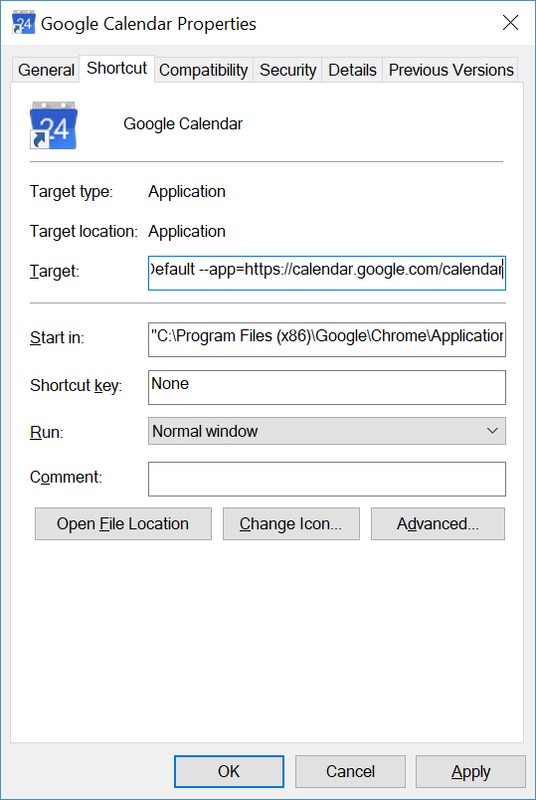 Microsoft seems to be conflicting with certain popular Google Chrome features. Namely Application Shortcuts or shortcuts to sites where you can open as a window. 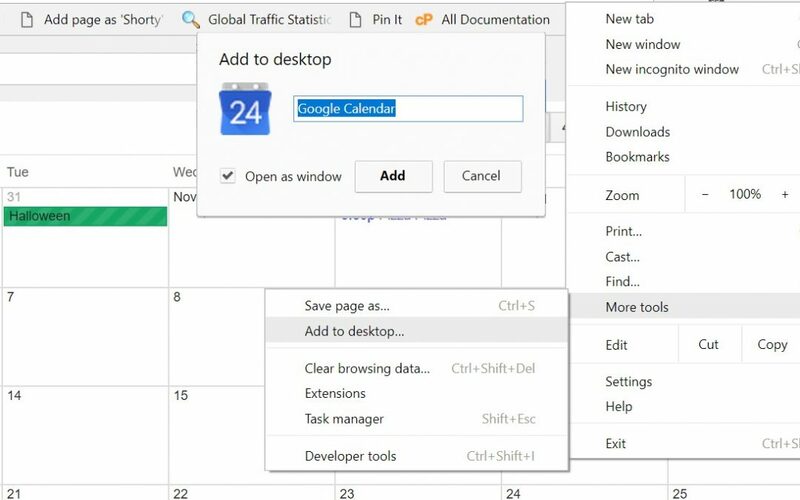 These are convenient for Gmail and Calendar as it helps find these quickly without having to sort through tabs in various Chrome browser windows to find these often used sites. When adding to the desktop and checking the “Open as Window” option the desktop shortcut is supposed to function as a browser tab without the browser features and open the page in a way that looks more like it was a stand alone application. It often fails and the solution is to manually edit the shortcut as follows. Right-click your newly created shortcut that fails to load the way it is expected.